How do I create a new contest? First, click Contests in the left sidebar. Then, click + New Contest in the top right corner. Check out our markdown guide to format your contest's description. After you click Save at the bottom of the page you'll be taken to the Steps page. 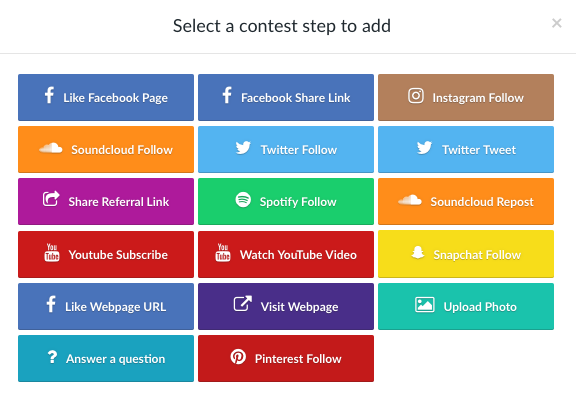 With Steps, you can give your audience options to gain entries to your contest with different social actions (e.g. Facebook like and share, tweet, etc.). You can also adjust the number of entries that each action rewards to give stronger incentives for your most important actions. Once you've entered all your steps, click Save at the bottom of the page. 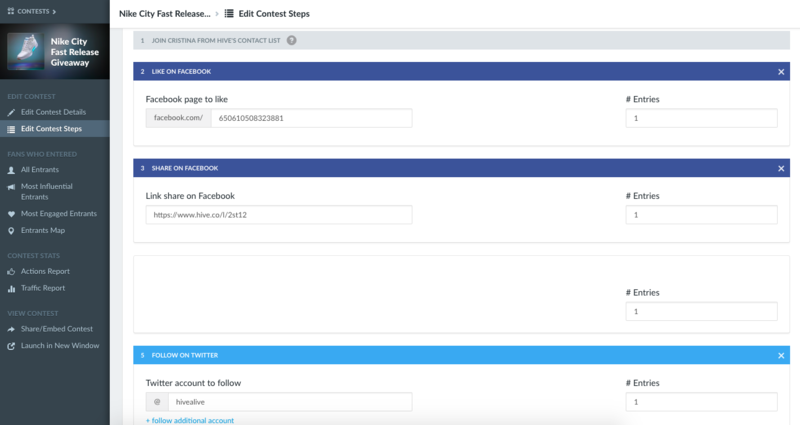 You'll then have the option to set the contest follow up email to default or create your own based on a custom template. 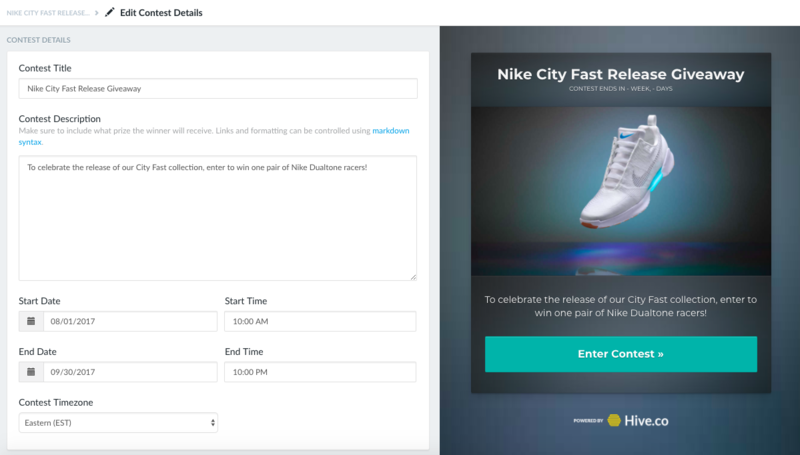 Once you've saved the follow up email, you'll see a link to the Spotlight page that you can share online and the embed code you can use on your website or store.